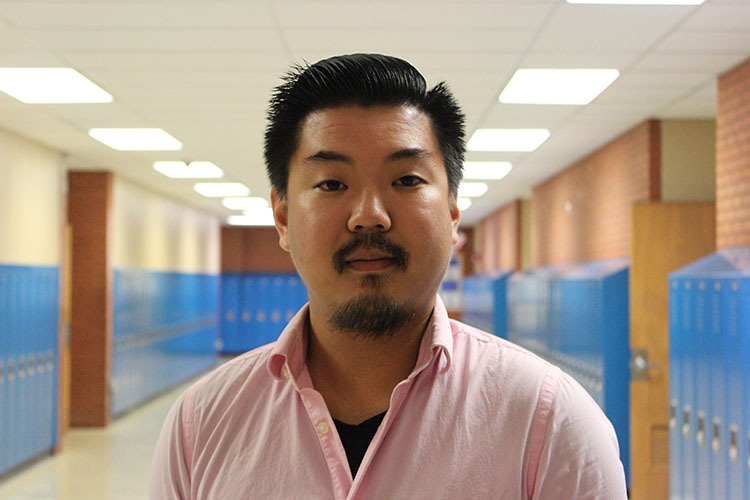 JCHS Chemistry teacher Subin Chun discusses his biggest fear. “Probably my biggest fear is failing, because I don’t like to let people down, especially my family. This is the biggest fear I currently have because not only do I come from a culture where failing is like dishonoring your family, but I am also the first born, the oldest, so that also means that I have the responsibility of being a role model–for my brothers especially. I think this is also the main reason that I keep up a persona of trying to be someone who is strong and doesn’t like to show weakness. Even if i have a lot of stress or things going on I won’t show it, because to me that’s kind of a sign of weakness, and I don’t like to show people that. This kind of has defined me and who I am. I have been living by myself since I was a junior in high school, and whenever I have tough things going on in my life I keep it to myself because i don’t want other people to know. I internalize everything, in a sense it’s become a habit, it’s become part of who I am. It’s led into me being a very independent person–to put it in a nice way, to put it in a bad way, it’s made me a very isolated person.